Juventus beat Atletico Madrid 3-0 in the second of the Champions League round-of-16 at the Allianz Stadium. An aggregate scoreline of 3-2 in the favor of the Old Lady propelled them into the Quarter finals. A Cristiano Ronaldo hat-trick was the difference between the two giants of football. After his performance, pundits all across the world hailed Ronaldo as the best ever to have played the game. Coming to the match, the first half started with Juventus being on top in terms of intent. That dominance was rewarded with a goal around the 27th minute mark, with Ronaldo rising above the defenders and thumping the ball into the back of the net. Atletico then came back into the game a little bit, but there was nothing substantial to show for their sporadic spells of attack. Alvaro Morata, in the dying moments of the first half, missed a huge chance with his header going over. The second half also started with the Old Lady being dominant with the ball and creating chances. Again, Ronaldo rose above to meet the cross of Joao Cancelo from the right and put Juventus level on terms, on aggregate. Atletico then had to stay in the game as it looked like they were going to explode under pressure. The third goal for Juventus came after Federico Bernardeschi went on a fine run and was brought down in the box. 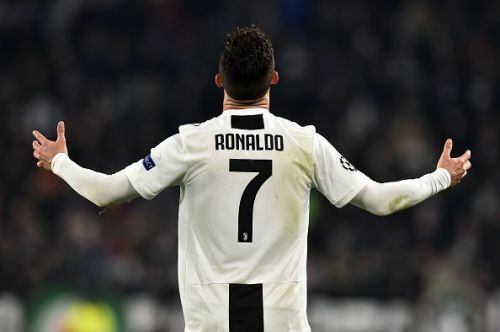 Up stepped Cristiano Ronaldo, and thumped Juventus to a 3-0 victory. Juventus then just had to hold onto their lead and they did that with brilliant game management. Thereby, it was another remarkable come back win in the Champions League round-of-16. Cristiano Ronaldo lit up the UCL stage once again, justifying why he is arguably the competition's best-ever player. Here's how Football Pundits across Twitter heaped praise on the Portuguese legend. Ronaldo is the Champions League. 52 career hat-tricks for Cristiano Ronaldo. FIFTY TWO!! !